Building a facility to meet the government-mandated progressive collapse requirements was a challenge that only added to the complexity of constructing The Littoral Warfare Research Complex in Panama City, Florida. The new technical warfare research complex is part of the Naval Surface Warfare Support Facility and is run by the U.S. Navy. This type of facility has to conform to all the normal construction requirements with additional constraints that must be met as part of the post 9/11 environment. The warfare facility is located on the waterfront to provide launch and recovery capabilities for various autonomous and unmanned research platforms. It contains inside laboratories for work on sensors, batteries, guidance, communications, control systems, and also includes support spaces, with covered storage. This project included site improvements such as waterfront access stairs, a boat ramp, test tank, and cranes. Demolition of various buildings was part of the program, as well as a five-year maintenance plan. Some of the goals of the facility were to create a show place and state-of-the-art facility. The Navy required that it had to be of the highest quality, low first-cost, and zero-maintenance. This facility works as a laboratory for the research and development of very high tech warfare instruments. The program was very well-defined by the Navy and a specific room proximity diagram was provided. The flow, lay-out and space relationships were critical to the efficient use of the building. All of these had to be accomplished within a very tight site, and strict adherence to the gross maximum square footage. Haskell, a design-build company, worked closely with Navy personnel to ensure the most efficient flow and layout relationships. The most outstanding feature of this project, by design and necessity, cannot be seen, and hopefully will never be needed. In a post 9/11 environment, design to mitigate progressive collapse is as important to this type of critical facility as are bathrooms and stairs. This facility accomplishes both of those critical features and yet remains highly efficient, and carefully and thoughtfully detailed. One of the greatest challenges of the project was to use tilt-up concrete for the exterior envelope while satisfying the government-mandated requirements for progressive collapse. A progressive collapse is a situation where a local failure of a primary structural component leads to the collapse of adjoining members, which can then lead to additional collapse. This government requirement caused a unique structural design in the tilt-up, allowing redistribution of floor loads in the event of a sudden failure of a primary exterior supporting element. During construction, five named storms, including Hurricanes Dennis and Ivan, made a direct hit to the project site. In addition, the project was located on the banks of Alligator Bay in Panama City, and there was significant site erosion. To alleviate this, rip-rap was expanded and fortified to protect the site from erosion by the bay. The project could then be completed on time and on budget. The owner selected tilt-up as one of the possible exterior enclosures along with concrete masonry units (CMU) and precast concrete. Haskell proposed tilt-up due to its durability and suitability as an exposed, smooth interior surface. 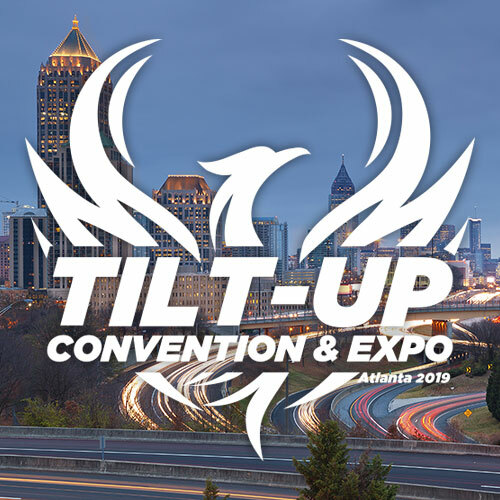 Due to Haskell’s ability to prove the outstanding progressive collapse capabilities of tilt-up, owner agreed to tilt-up as the exterior enclosure. Further, it was delivered to the Navy within their budget and schedule, which were major criteria for being awarded the project. A number of important treatment issues were decided early on in the project. Most importantly, brick would be used as the primary façade treatment (in keeping with existing campus buildings). Concrete tilt-up wall panels would provide the exterior brick veneer backup system while acting as load bearing elements and shear walls to resist lateral loads caused by wind. In addition, the interior surface for some of the areas could be tilt-up, and portions of the tilt-up should be exposed to the exterior to express the interior functions of the facility. A hierarchy of architectural treatments was then created which illustrated that the labs and research rooms were the most important and significant parts of the building. As a result, this is the area that was veneered with hand-laid brick. Second to those program elements were circulation and general office areas. These have been left as exposed tilt-up panels. Furthermore, the bronze-colored metal used on the roof, downspouts and window frames is a base standard and compliments the orange-red tones of the brick. The building is structured with steel framing to accommodate the office/laboratory layouts, while the High-Bay area is column free using the load bearing tilt-up wall panels for support of the crane system and roof structure. Last but not least, elevations of the floor beams are adjusted to accommodate the use of access flooring where required by the client. Reinforced concrete tilt-up panel construction is ideally suited for a structure with requirements to resist progressive collapse due to accidental loads. This is based on several unique attributes of tilt-up construction. For instance, tilt-up concrete has tremendous energy absorbing capacity due to the grid of reinforcing bars cast into each panel. In addition, the test data and the Haskell’s own project experience confirmed the ability of tilt-up to experience significant distortion and damage and still support considerable load. Tilt-up is also extremely resistant to any type of localized penetrations, including accidental impact loads. Multi-story tilt-up concrete panels usually experience the most severe loading during the lifting operation. This means that the panels in their vertical, “in-place” configuration have reserve load capabilities. 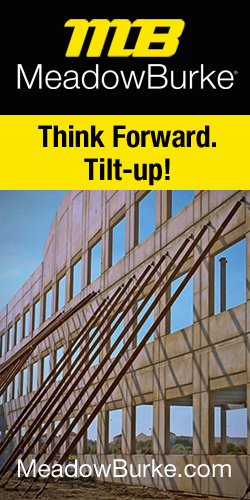 Due to this inherent reserve strength, tilt-up can readily avoid progressive collapse in case an explosion damages a portion of the structure. Special attention to the design of panels and a few innovative details are essential to tap into this reserve strength. If the bottom section of a panel is destroyed, the adjacent panels can readily support the upper section of the damaged panel by using embeds and connection plates along the sides of the panels. In case a section of the floor diaphragm system is destroyed and panels lose their lateral support at that floor level, the panels are designed to span vertically for an increased unsupported length of two stories. If the panel immediately below a beam connection is compromised, that connection embed has been enhanced with additional “hanger rod” reinforcing within the panels to ensure that the beam will remain supported. Another advantage of using tilt-up for progressive collapse requirements is that the load bearing panels are designed and constructed substantially as individual elements which rely only on the lateral support of the floor diaphragms. Therefore, failure of one element is not readily transmitted across panel joints to adjacent elements. In addition, in tilt-up construction, the lateral load resistance of the building is distributed around the entire perimeter. As a result, there is considerable redundancy and there are no vulnerable, localized lateral load resisting elements, such as cross bracing, which can be compromised by an explosion. With close attention to a few special details, tilt-up construction fully satisfies the anti-terrorism and force protection requirements of this project. The project has received multiple awards for its innovative design including 2007 TCA Tilt-Up Achieve- ment Award – Innovative Application/ Technology Division. The First Coast Chapter of the Associated Builders and Contractors selected this project for an Excellence in Construction award. The project has also been awarded the National Design-Build Award for best public sector building under $15 million from the Design-Build Institute of America. Tallest Panel: 62 ft 3 in.